It’s a new school year in Australia. Last year, I was sending both my girls off to big school for the first time. It was emotional. But they coped better than I did! I still can’t believe it was only a year ago. How quickly you get used to a new kind of normal. All kids (and parents) have different thoughts and feelings about starting school. Lucky for us parents, we can access our online forums for advice. We also have access to some wonderful children’s books. Here is a selection you might like to read to your kids over the coming week. You can also show your kids the little video of A School Day Smile on Story Box Library, which is all about Tiggy’s first day at school. Watch here. I tapped into my online communities, and asked parents how they helped their kids adjust to starting school. These wonderful people are happy for me to share their wisdom with you here. “Remember that, even if they cry, they’ll be fine once you leave. Also, go and walk through the school while it’s empty, so they can get used to the size of the buildings.” Pamela Freeman. “Create a routine for the morning that you’re going to be happy to continue with throughout their school life. Don’t pepper them with questions as soon as they get through the front door at the end of the day. Give them downtime. Asking a couple of questions over dinner is a good way to instigate a conversation. What was your favourite thing today? What are you looking forward to most tomorrow?” Ruth Devine. “An extra half hour on the first morning means less hurry and stress for everyone.” Christina Loeve. “Don’t worry about homework. Just cuddle them, feed them and listen to them when they get home.” Hannah Robertson. “Be prepared to feel anxious! But it settles down.” Jenna Shelley. “Make time to volunteer at the school – you will meet a lot of wonderful people as well as get to know your child’s new friends and teachers.” Caz Greene. “Check that they can open the little lunch boxes that you give them. Some have super tough latches that even I struggle to click open.” Lucy Estela. “Volunteering in your child’s classroom is great because you get a real feel for what it’s like for them all day, what the teacher is like, what various kids in the class are like (they’ll talk about their classmates at home).” Amelia McInerney. “Morning and after school routines have worked well for our family. What’s more, we talk about everything – sometimes what our child has ‘done’ is not as important as what they felt.” Simone Blom. “Start building a community straight away.” Lauren Jackman. “Read lovely picture books about starting school. They can help them to feel prepared and give them a sense of what to expect.” Holly Bidwell. “Do everything possible to celebrate the little wins in the big pond of school life.” Julie Grasso. “Packing a ‘school lunch’ in the holidays to ensure everyone can open their new lunch boxes and containers etc. is very helpful. And velcro fasteners for shoes!” Jacinta Froud. “Practice run of the toilets! Or public toilet lock practice … Getting ready routine list on the fridge and practice run. Starting school books. Drawing a matching heart button on my hand and hers comforted her – press and each other will feel the love.” Michelle Wanasundera. “If they need a day off and you’re able to be there don’t worry about what everyone else will think. Trust your parenting style.” Penelope Pratley. “Be prepared for extra tiredness and crankiness to begin with. And if they are excited, expect that to wear off within a couple of weeks. It takes time for them to settle into a routine and cope with the demands of school, so it’s a good idea not to do any extra-curricular activities for the first term or two.” Pamela Uekerman. “Teachers are your teammates.” Artelle Lenthall. “Draw a picture on the brown lunch bag each day with a little motivating message like ‘You’re a star!’” Kim Langfield. “Don’t stress about it too much as children pick up on how parents are feeling.” Katja Bertazzo. “Buy an extra hat and leave it in the car. Label everything, even undies.” Jo Staker. “From a primary school principal’s perspective, I always encourage the prep parents not to do everything for their children (carrying school bags in, unpacking their readers and getting their desks at up etc).” Riss Leung. “Advice for parents: be brave! Smiles and cuddles for your kiddies, ugly cries for after school drop-off.” Renee Price. “New routine for the family with a child starting big school for the first time will take time to settle. 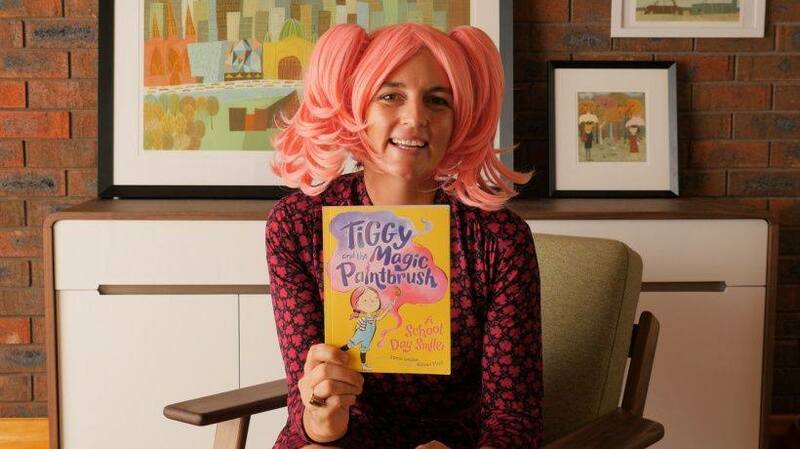 I’d give it at least term 1, if not longer for things to settle down.” Katrina McKelvey. “I put a little smiley love heart note in their lunch box so they get a surprise at snack time.” Rosalie Street. “Another way to connect at the end of the day is to ask what their favourite thing for that day was rather than ‘what did you do today?’” Cate Whittle. “Arrive for pickup a little early so you have time to meet and get to know the other parents/carers. This is useful in developing a support/friend network for you and your child. There’s a wealth of knowledge and experience among the parent/carer network, and future friends to be made.” Julie Murphy. “1. Keep the first term free of most other extra curricular things as they get used to the routine of school. 2. Don’t be surprised by Week 6 of the first term they have a complete melt down, it is completely normal as exhaustion sets in and the reality that school is now life 3. On the first day, don’t linger. Say goodbye on a positive note and leave… it’s ok to have a little cry in the car but don’t let them see it!” Anna Partridge. 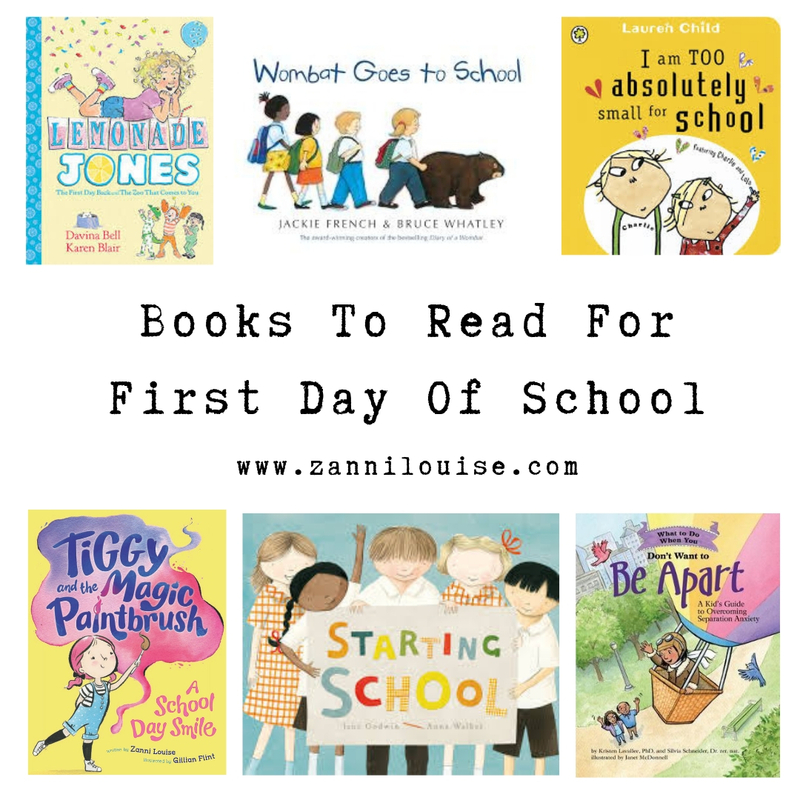 “My youngest is starting this year & we’ve been reading Meredith Costaintain’s My First Day of School; Davina Bell’s Lemonade Jones & Barbara Park’s Junie B Jones. Lots of opportunities to have a laugh & a bit of a chat about expectations. A Novel Prescription for Kindergarteners!” Zewlan Moor. “Be prepared to feel like they’ve just joined the army and then realize that your child is more capable than you would ever think!” Bethany Tyson. Will be thinking of all those littlies, with their big backpacks, and black school shoes next week! Oh, and all the crying mums. Don’t worry. I know all about it! I wish I’d had a list like this when I started my kids all those years ago. Good luck to any first timers, relax and enjoy. Thanks for your kind words Artelle! So much fabulous advice. It’s all so pertinent and the observations SO true – lol. My youngest starts middle school this year and I think I am more emotional about that transition than when she started school. Thanks for sharing all the wise words Zanni. Thanks Penny!Oh, I hope your youngest goes well with the transition! It all moves on so quickly!